The reading of this year’s track book was confoundingly tricky. There is no lasting snow cover nor daytime thaw and a new fresh snow layer on it. Because of this we have not reported the mating moves of felines nor canines - the tracks simply will not tell a clear story. 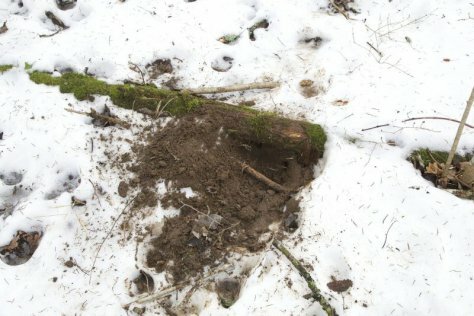 Of course the larger predators make their tours at the badger burrows. In the video we see a wolf but lynxes also stray around, and of smaller ones, foxes and raccoon dogs or even smaller creatures. 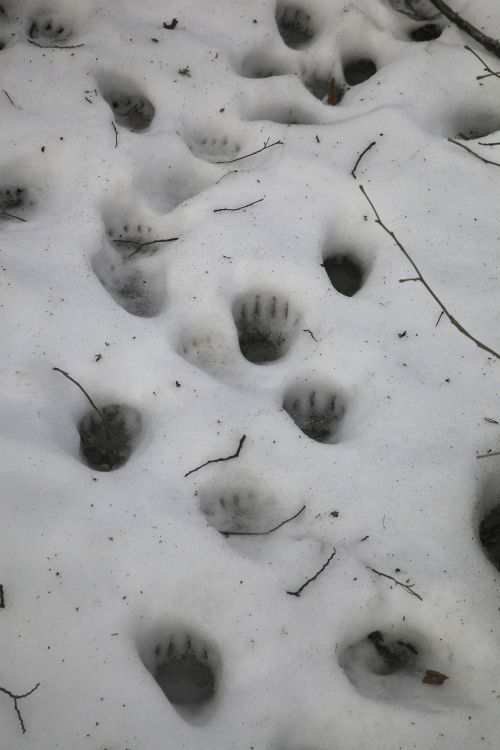 Isn't it like bear tracks – if the size did not reveal it to be those of a badger. As we can see they have been out walking around during several days. 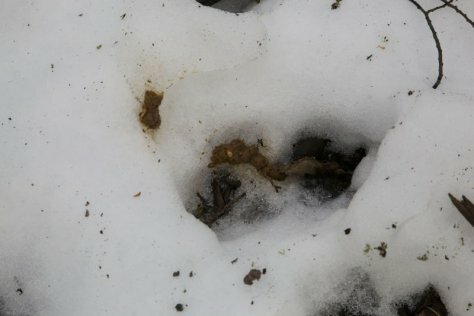 If the ground is not frozen, the badger can check if there is something nice to eat in the familiar spots from autumn. Typical rooting tracks. … and who eats must also …. The cleanliness-loving badger has a toilet and it does not defecate elsewhere. When the loo hole is full it is covered with a soil layer.